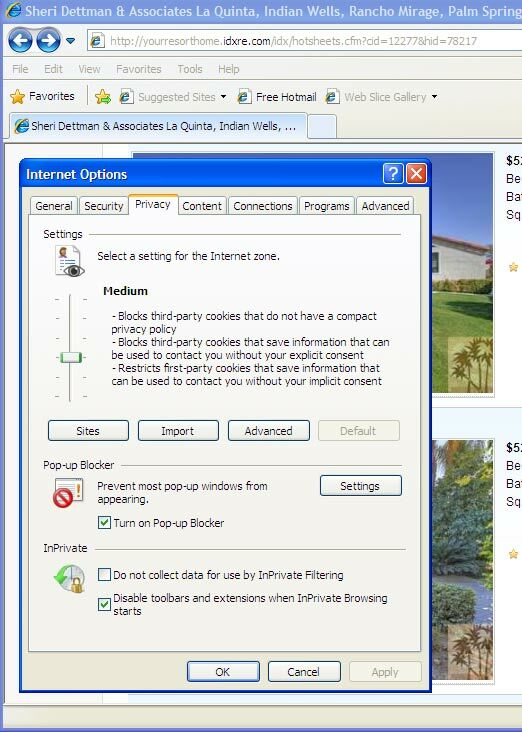 Some versions of Windows Internet Explorer (IE) may prevent you from viewing photos of properties online. This is a common issue with users of Internet Explorer. The good news is that you can easily adjust your browser setting and once again be able to view photos of properties. You'll simply need to enable Compatibility View in your browser. This can be found to the right of the URL address field on your IE browser window. Simply click the torn paper icon to enable Compatibility View. This should resolve the photo viewing issue. If enabling your compatibility view does not resolve the photo viewing issue you can update your browser security settings by following the simple steps below. 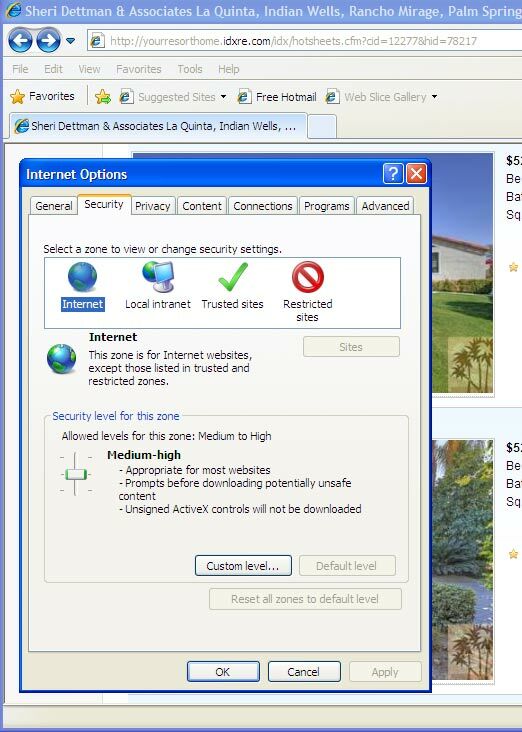 Internet Explorer (IE) has a number of browser security options that you can customize. If you've made changes to your IE security settings and then have problems browsing web sites or viewing photos of property listings your not alone. Sometimes software installations and updates from Microsoft can also change your browser security changes without you even knowing it. It's very easy to take things back to your default browser settings. Follow these easy steps in our online tutorial below to reset your browser settings back to their default levels. These simple steps will allow you to again view property photos. 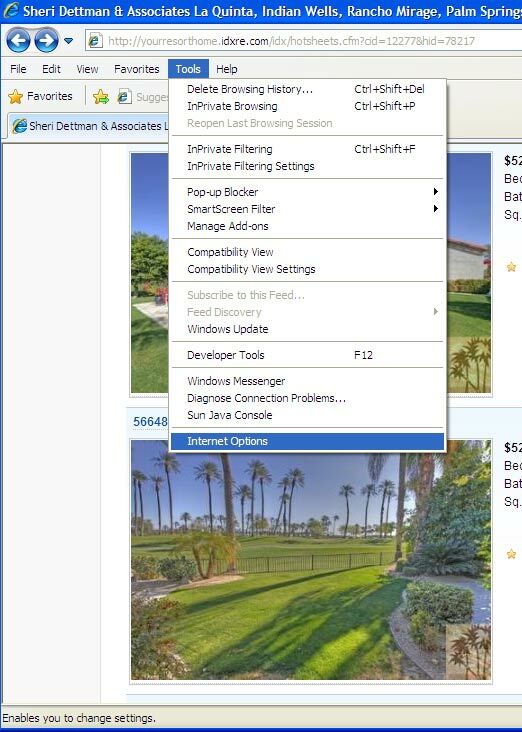 Step One: Go to Tools > Internet Options in your IE tool bar. Step Two: Go to the Security Tab and reset the "Security Level for this zone" to Medium-high. Step Three: Go to the Privacy tab and reset the "Settings" to Medium.